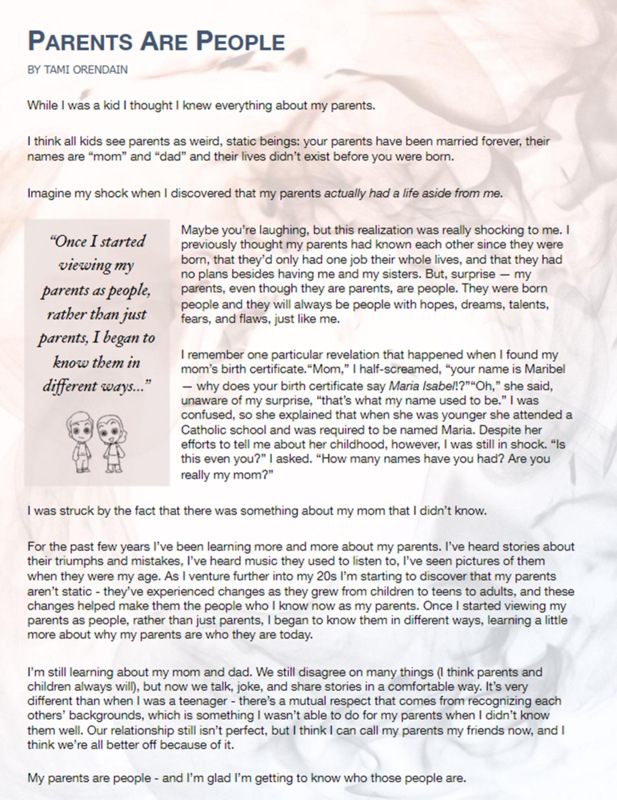 A short op-ed on how my parents are just like me, and how this realization changed our relationship. I previously thought my parents had known each other since they were born, that they’d only had one job their whole lives, and that they had no plans besides having me and my sisters. But, surprise – my parents, even though they are parents, are people. They were born people and they will always be people with hopes, dreams, talents, fears, and flaws, just like me.